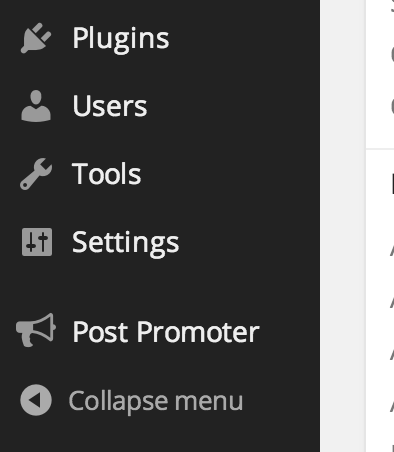 Click the Post Promoter menu to enter the general settings. Once there you will need to add your License Key (received in your email or visible in your account). Enter it, click ‘Save Changes’, and then once saved, click ‘Activate License’. If done correctly, you’ll see a green ‘Active’ next to your license key. Once you see this, you are ready to connect to Twitter.